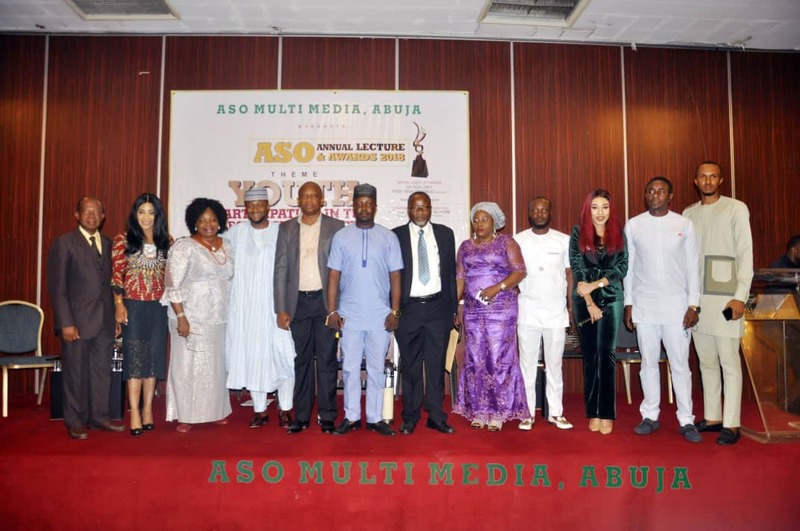 Home Unlabelled PHOTOS : Gov Umahi, Boss Mustapha, Ahmed Buhari, others Attend the 1st Aso Annual Lecture and Awards 2018 in Abuja. 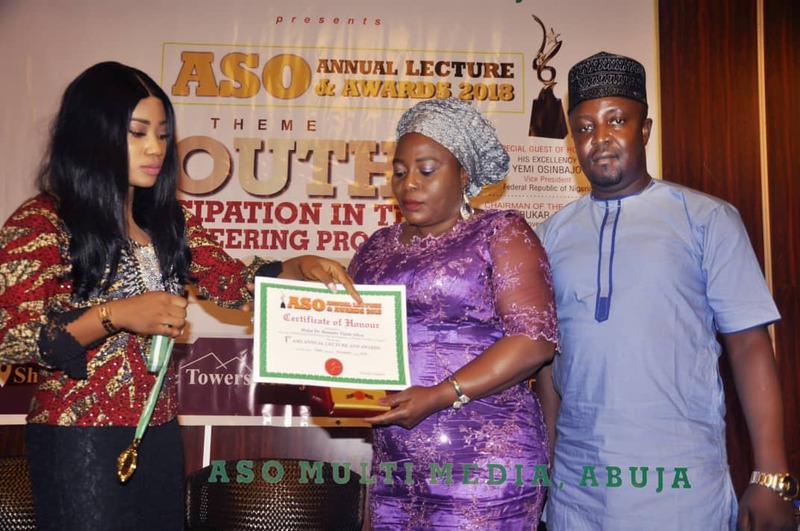 PHOTOS : Gov Umahi, Boss Mustapha, Ahmed Buhari, others Attend the 1st Aso Annual Lecture and Awards 2018 in Abuja. 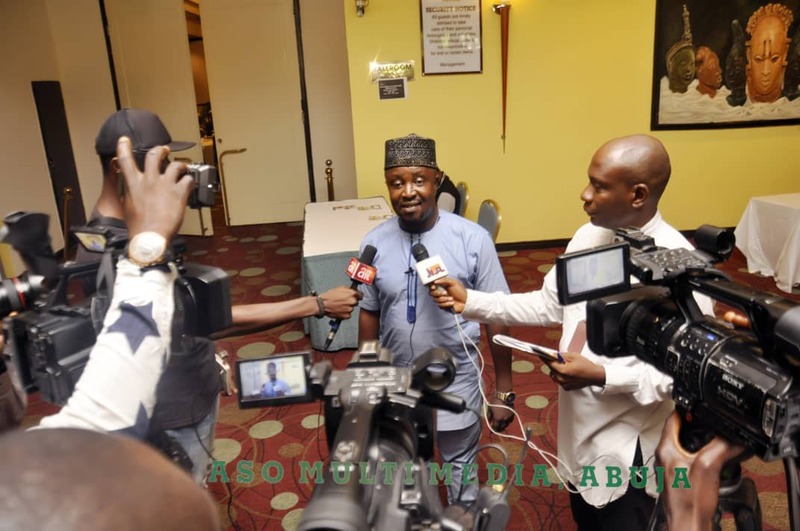 The Executive Governor of Ebonyi State His Excellency David Umahi Represented by the Senior Special Assistance to the Governor on Abuja Laison Barr Joseph Ekumankama, Secretary to the Government of the Federation Barr. 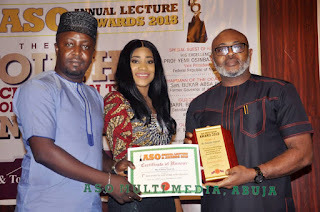 Boss Mustapha represented by Mr Jamiu Abdulkareem-Director PIMGD, Presidential Candidate of Sustainable National Party Mr Ahmed Buhari, Nollywoood Actor turned Politician, Mr Emeka Ike and other distinguish Nigerians Attends the 1st Aso Annual Lecture and Awards 2018 held on Thursday 22nd Nov 2018 at the Prestigious Sheraton Hotels Abuja. 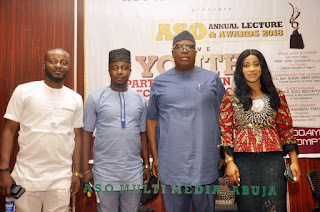 Aso Annual Lecture and Awards brought Nigerian Youths together to discuss, deliberate on effective participation in the electioneering Process in Nigeria. It is undoubtedly a haven for those who want to make formidable change in the country especially in the forthcoming elections. It was also used as a platform to celebrate individuals who are making gaint strides both in politics and in corporate world. This year edition focused on the Youth Participation in the Electioneering Process in Nigeria. It was well attended by various youth organisations, government agencies and seasoned speakers. Youth involvement in the nation's affair cannot be overemphased as only then can youths be truly representated in leadership. 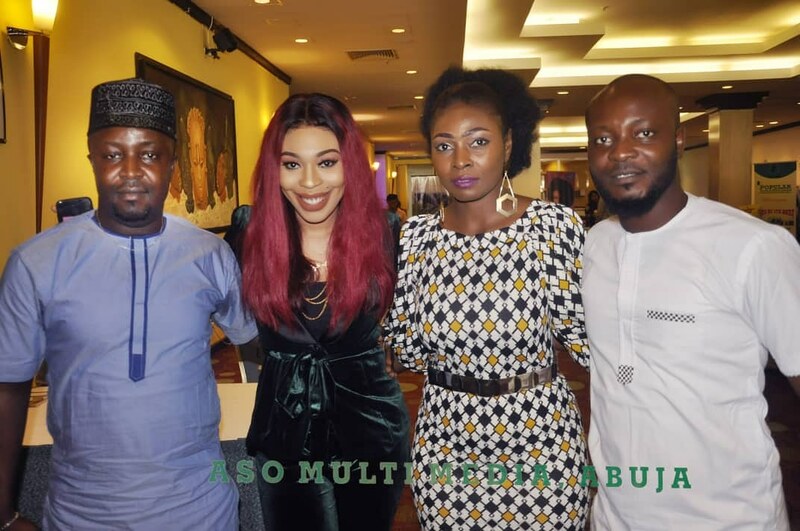 Voting is the first step and it is also a welcome development as it is now possible to aspire for any leadership position following the NOT TOO YOUNG TO RUN LAW. The Executive Section at the event focused on the issues of youth involvement in election rigging, thuggery and any act capable of disrupting electioneering processes. Gov. 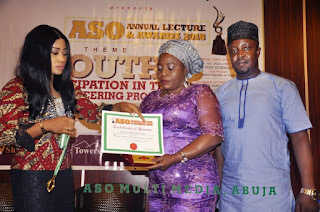 Umahi as Best performing Governor of the Year, Mr Babatunde Fowler -Chairman Federal Inland Revenue Services, Mr Danbatta- Executive Vice Chairman-Nigeria Cominication Commission NCC ,Hajia Dr Ramatu Tijani Aliyu, Mr Emeka Oparah -Vice president Corporate Communication &CSR Airtel Nigeria, Queen Habibat Aliyu, Salma Phillips, Amb. 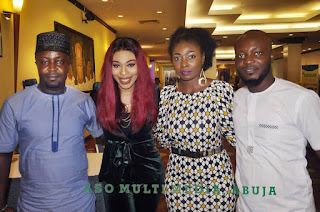 Mrs Ginika Tor Williams ,Africa Independent Television and others.